Tub or shower need service? Call R Plumbing Company. Very few of us have freestanding baths these days, as tub/ shower combos are most common. There are however plenty of reasons for them and plenty of variety. The cast iron clawfoot tubs are often desired for style more than function. 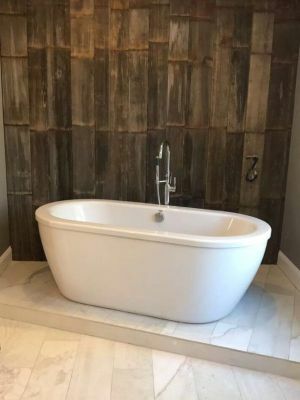 There are also many more functional tubs, such as whirlpool tubs, jetted tubs, and soaking tubs and most can be also found either standalone or as part of tub/ shower combos. Whatever your preference, we have a solution. We are able to replace and install all sorts of tubs and repair, install, and replace their associated faucets and drains. This is the most common setup for the household bathroom as its the most flexible and space efficient. There is a bewildering variety of units in all shapes, sizes, and colors covering every application and taste. Just like with the standalone units, we are able to install and replace Combo units as well as perform repairs and replacements of their associated plumbing, valves and diverters. 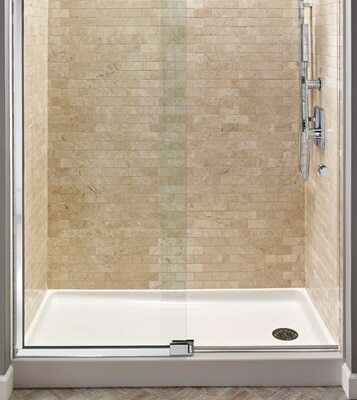 Walk in (or roll in) shower enclosures are by far most common for commercial applications but can be very well suited for home use, especially where there are space or accessibility constraints. 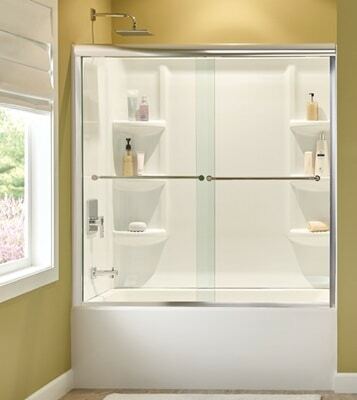 Showers are much easier to get in and out of for those with accessibility issues than tub/ shower combos. Shower stalls can also be much smaller, especially corner shower units, which can be stuffed into unbelievably tight quarters. As with all tub and shower units we can install and replace most any style of shower and install, and repair or replace the associated plumbing.